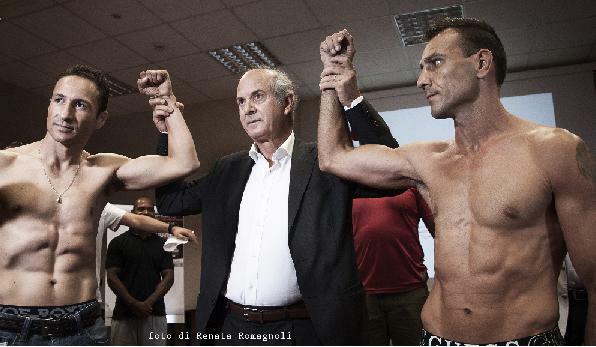 Friday July 31, 2015 - Today, at Leonardo Da Vinci Rome Airport Hotel in Fiumicino (close to Rome), Salvatore Cherchi's OPI 2000 held the official weigh-in of the fighters who will enter the ring tomorrow at Fiumicino’s soccer stadium. In the main event, Emiliano Marsili (Italy, 31-0-1) and Gamaliel Diaz (Mexico, 38-12-3) will fight for the vacant WBC Silver lightweight championship. Marsili is a former Italian, European and IBO world lightweight champion while Diaz is a former WBC world super featherweight champion. Marsili-Diaz will be broadcast live in Italy by Deejay Tv. In Poland, by FightKlub. In Canada, Latin America, Australia and New Zealand by ESPN International.